Bobby Kennedy's last campaignan homage to a leader who might have changed history and a reconstruction of the conspiracy to stop him, in a magisterial feat of epic investigative poetry. June 5, 2018, is the fiftieth anniversary of the assassination of Robert F. Kennedy, and there are still unanswered questions about whether his murder was the result of a conspiracy. 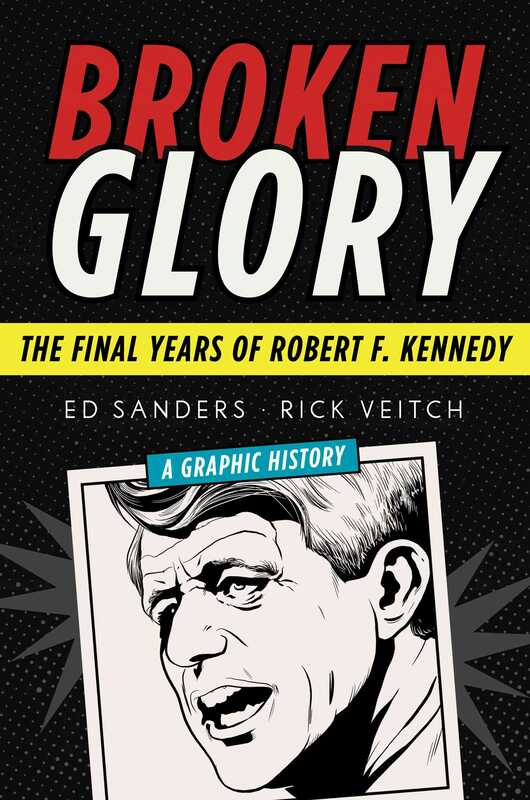 Broken Glory is a graphic history told in epic verse of Bobby Kennedy's life and times leading up to the fateful 1968 election campaign, with 100 illustrations by artist Rick Veitch. It encompasses the story of his convicted killer, Sirhan Sirhan, as well as a large cast of characters that includes Lyndon Johnson, J. Edgar Hoover, Richard Nixon, and Eugene McCarthy, who was the first to challenge the sitting president of his own party in the 1968 election, and it recalls the major events that made 1968 a turning point in American history: the Tet offensive and battle of Hue, followed soon after by the My Lai massacre, the Memphis sanitation workers strike, the assassination of Martin Luther King, and the riots that ensued. The authors illuminate the evidence for a conspiracy, fostered perhaps by elements of the CIA, that fielded a second shooter and made of Sirhan Sirhan a patsy, mirroring the part played by Lee Harvey Oswald in the assassination of John F. Kennedy, an event that haunted JFK's younger brother until his dying day. Rick Veitch is a lifelong cartoonist. He illustrated Swamp Thing while at DC Comics and is the author of innumerable alternative comic books, including Can't Get None and the Eisner Award–nominated Brat Pack, The Maximortal, Rare Bit Fiends, and The Spotted Stone. He lives in West Townsend, Vermont.